The tanks of our power units are delivered in aluminium steel or stainless steel – in the manufacturing standard with up to 3,000 litres volume. Larger volumes are possible, also additional equipment features like oil collection trays for environmental protection, roofing for rain and dirt prevention or special housings for noise reduction can be provided. 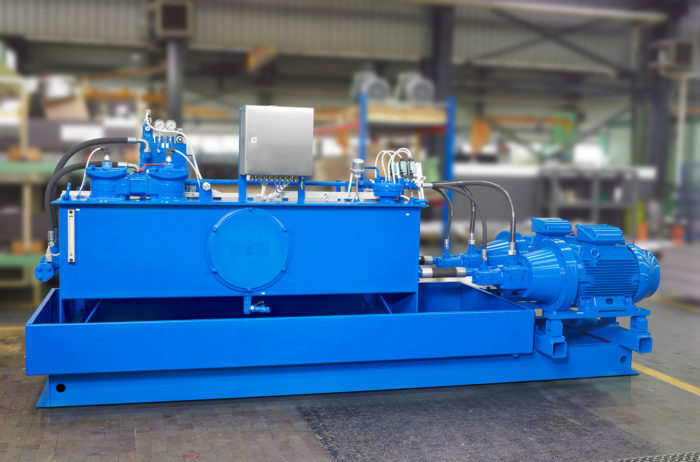 At volume flows of up to 750 litres per minute highly precise control blocks guarantee accurate and fast regulating operation of the power units. If required, cooling circuits with oil-water or air-heat exchangers are integrated also resisting high temperatures or eminently frequent triggering. We will be pleased to consider individual specifications, customary standards or particular wishes regarding varnishing and layout of the power units in agreement with you. On request we provide comprehensive documentation material, system-specific data sheets as well as testing and certifications of all components according to the specific standards – also according to the ATEX-standard. If requested, we combine each hydraulic power unit with perfectly matching high-quality cylinders. Due to this combination of cylinders with intelligent power units, you can receive your hydraulic system as an efficient and finely-tuned package from one source. 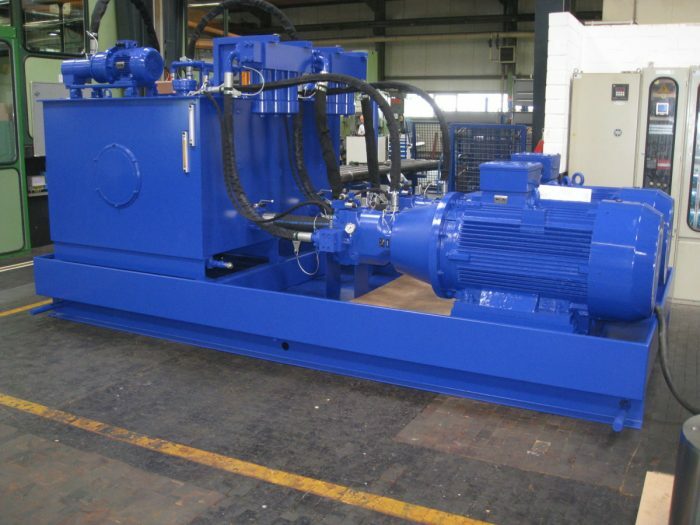 In the field of conveying technology special materials to be conveyed require tailor-made hydraulic power units. Whether in maritime environment or under high dust exposure – we deliver the suitable power unit. For use in areas with difficult access or for reasons of process security redundant drives or powertrains are available, too. In industry and manufacturing machinery for very specific requirements is used. 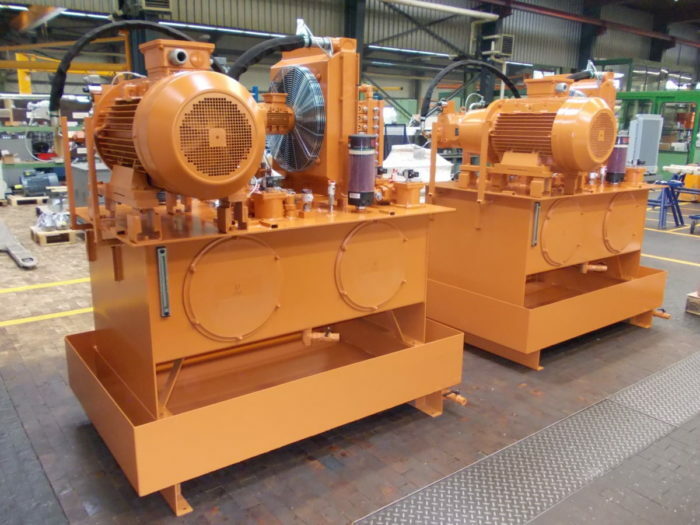 To meet these requirements in regards of control technology, energetically optimized hydraulic power units are necessary in order to secure high frequencies and many switching operations. The required triggering has to be carried out with accuracy in µm-ranges whereas suitably dimensioned components assure durability and a long lifetime. Therefore specific know-how of the engineers is needed in the development of corresponding hydraulic power units to consider all requirements during hot treatment or casting process including the periphery. The design of test benches regularly requires new and innovative approaches. Often the triggering requires precision in µm-range and very high forces must be generated on the spot or for a longer period of time as a permanent impact. 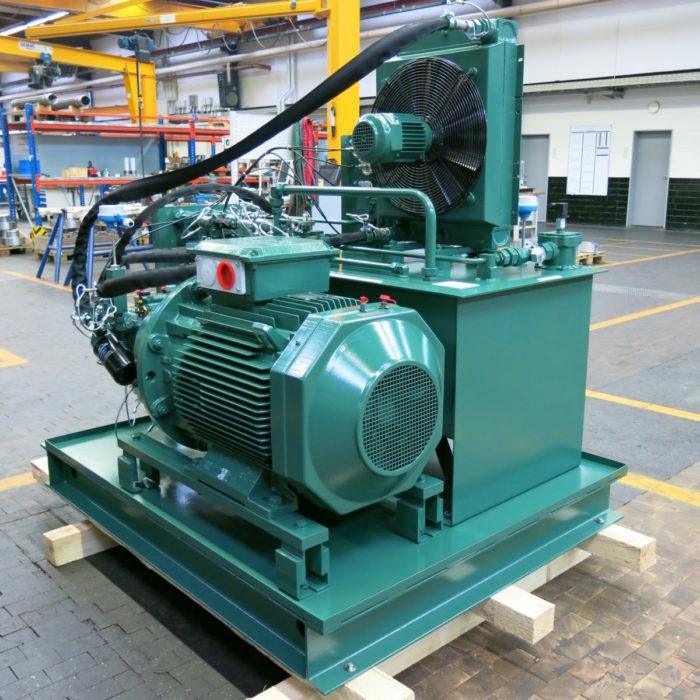 For this application we deliver compact, silent and efficient power units with a drive power of up to 160 kW.